In January 2010, I found a lump in my left breast. My surgeon told me that I had nothing to worry about because I was young with no family history of cancer. Regardless of what she was telling me, I decided to have a lumpectomy; I was diagnosed with Stage 1 Breast Cancer. I was only 26 years old. My life had been flipped upside down and I could not fully comprehend what this all really meant. I was forced to quickly make the toughest decision of my life. In less than one month, I underwent surgery for a double mastectomy in hopes that this tiny sacrifice would be the cure. During the next years, I struggled with my body image and relationships. At this point I was skeptical of finding the perfect man for me. Although I endured several tough days of chemotherapy and surgeries, I remained confident and optimistic. I used this time to focus on myself and re-evaluate where my life was going. Cancer forced me to put important life goals, like continuing my education, on hold. In 2012, I decided to pursue a Master of Science in Criminology. Once I enrolled, my mom kept telling me “maybe you’ll meet a nice guy in school”. Little did I know she would be right! Rich was enrolled in the same program when we met in January 2013. Several times I caught Rich glancing at me but he was too shy to approach me. My girlfriend kept telling me that he seemed like a nice guy but due to previous dating mishaps, I was hesitant about whether or not I was really in a place to foster a new relationship. Unfortunately neither one of us took the initiative and several weeks passed before we would see each other again. In the spring, we reconnected and slowly began getting to know one another. I was honest about my journey, however; unsure if he would be able to accept me—incomplete and all. Rich makes me feel comfortable and beautiful every day. He embraces all of my imperfections. We quickly realized how much we had in common and enjoyed spending our time together. As the months passed, our love for one another grew. Although the cancer journey was a crazy one, the stars have truly aligned. 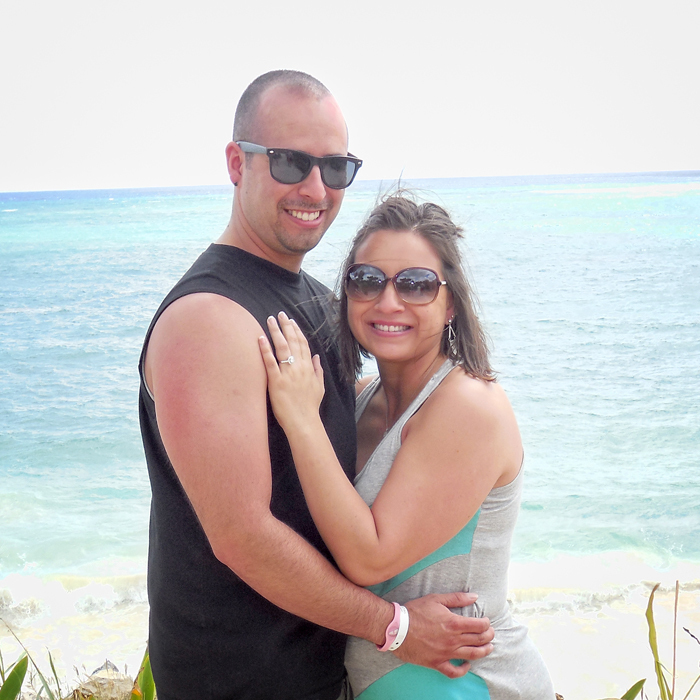 After 20 months of dating, while vacationing in Cancun, Mexico, Rich asked me to marry him at the Mayan Ruins of Tulum off the Yucatan Peninsula. I was surprised and quick to say YES! Rich was everything I would dream of and ultimately wanted in my future husband. He is kind, loyal, loving and incredibly supportive. I realize that dreams can come true. I am excited to continue making memories with him and look forward to spending the rest of our lives together. I will be honored to be his wife. This is my fairy tale and happy ever after.